Of course I love catching fish myself, but it’s some buzz to be standing next to another angler, watching intently as they fish away, and then they get walloped by a bass. I reckon you get to see more from not fishing, and it’s so exciting. 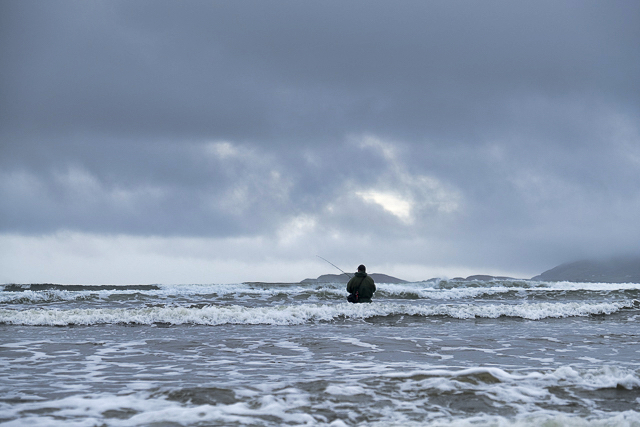 It’s as good as fishing gets for me when those perfect tables of surf roll in from the Atlantic, but it’s very manageable and easily fishable, and because there are what seems to be a bunch of fish around, your anglers are fishing hard and expecting to get nailed on every single cast. 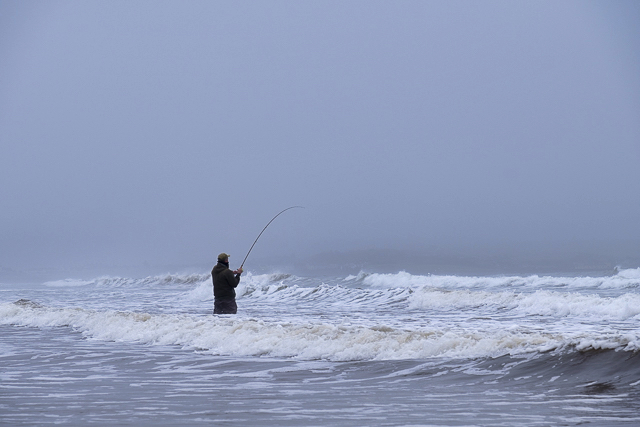 One lure that is really starting to work well out here on the surf beaches is that newish Savage Gear Line Thru Sandeel - they absolutely fly, and as far as we can work out you need do no more than whack them out and wind them in. Get your rod tip up a bit, find the retrieve speed so that they are swimming very naturally just under the surface, and when those bass hit them, it’s something to see as the rod just slams round. One of our anglers also had a few bass on these Line Thru sandeels last week when we was casting it out across a strong current, controlling the swing round, and then slowly retrieving the lure when it moved outside of the main flow. 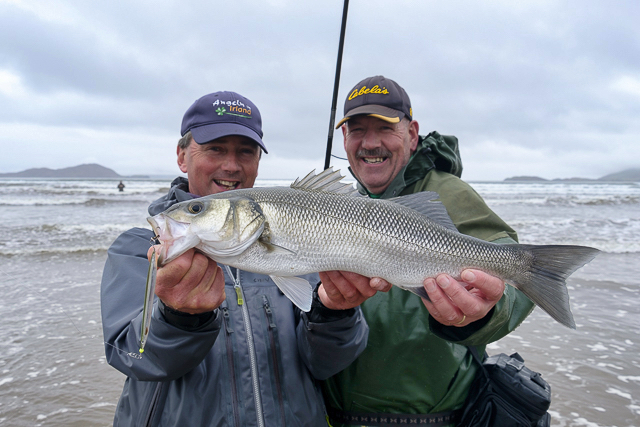 I have been waiting to see how these killer looking lures might work in a bit of Irish surf, and John’s been doing really well with them when his clients have them with them and the conditions are right. It must have been the size of the bait that was out there the other day, because it was the smaller 19g version that was doing more damage, and in that ultra realistic sandeel pattern as well. The larger 27g version casts really well and has been catching fish, but holy cow that smaller 19g one goes out there like a frigging missile, and they remain so stable in bouncier conditions. I understand completely the line through rigging for sea trout fishing and how adept these fish are at throwing hooks, but here’s hoping that Savage Gear might one day bring out a version of this increasingly interesting lure that doesn’t need to be rigged line through - perhaps just a couple of eyelets on the end of the lure as per a regular hard lure? Anyway, apologies for the lack of blog posts, but it’s been hectic out here - today is our last day and then I head for home tomorrow. 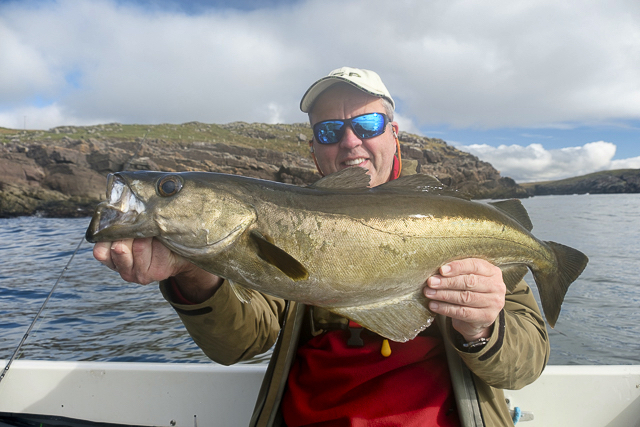 We had big blue skies yesterday and our anglers smashed a silly amount of pollack out on the boat in some wonderfully calm seas, but today is a proper Irish bass day down here in Kerry and we have plenty of time left before we wrap things up………………….